The four living creatures in Rev 4: 6, 8 are not often referred to as angels although they have characteristics of angels. They are super-beings identified with the throne of God, and once with the tree of life in Eden (3: 24). They appeared in Ezekiel’s vision of the throne of God as Cherubims (Ezekiel 1:5–11, 15, 20; 10:12, 14–15). Isaiah identified them as Seraphim (Is 6: 2-3). Their roles look like guardians of the throne, and more importantly, proclaiming the holiness of God (Is 6: 3; Rev 4: 8). Of particular interest are their faces as described by Ezekiel and John (lion, ox, man, and flying eagle). What is the meaning of the faces? First, look at the throne through the lens of Semitic socio-religious and political traditions. Contextually, the vision of these beings occurred in the heavenly sanctuary. So, we won’t look any farther. An allusion is made to Moses when he was instructed to make figures of cherubims to spread their wings over the mercy seat (Ex 25: 18-22; cf. 1 Kgs 6). Not so much information is given about their appearance. The concept of the encampment of Israel around the TABERNACLE parallels the FOUR living creatures AROUND THE THRONE. We are here given the reason why the four living beings worship God and proclaim His holiness in the same manner Israel was to worship God and to be holy to Him (Lev 11: 44, 45; 19: 19: 2; 20: 26). But their significance is deeper than that. The faces of the four living creatures and the twenty-four elders are used symbolically to highlight the Judeo-Christian concept of the redeemed in the book of Revelation: the 144,000 (Jewish) and the multitude from all nations (Gentile nations). 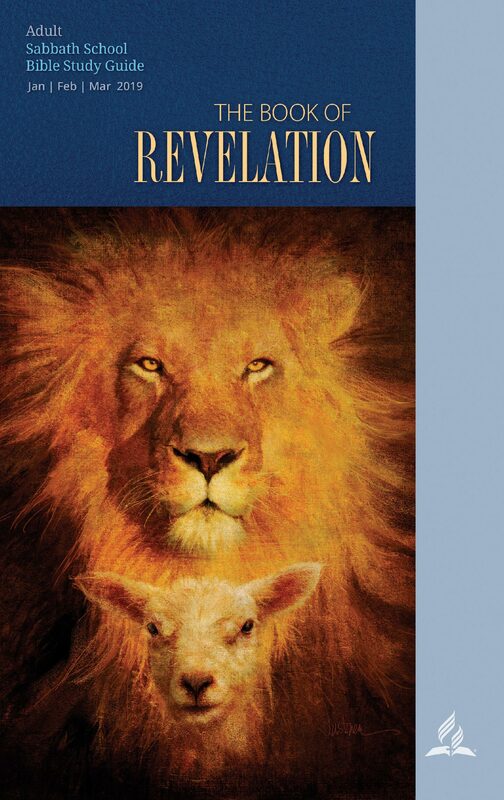 See my article “The recipients of the book of Revelation” for further clarification. One last exciting analogy, if you arrange the divisions by the number and order of their encampment, you’ll get an image of the CROSS. REVELATION CHAPTERS FOUR AND FIVE FOCUSES ON THE SLAIN LAMB WHO IS WORTHY!!! We once again come back to the REVELATION OF JESUS CHRIST. In another article, I will show how Revelation chapter four is an architectural concept of the New Jerusalem. Next Is the rider on the white horse (6: 2) Jesus Christ?